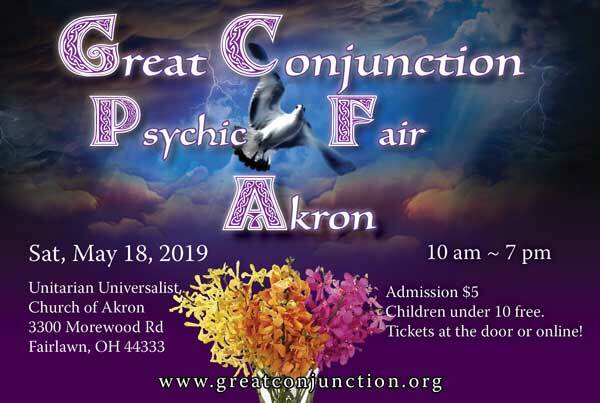 Great Conjunction Psychic Fairs bring together the best of the metaphysical community. Our Expos feature gifted psychics and mediums, talented energy facilitators and the vendors with beautiful and unique spiritually themed products and gifts. Many of our vendors and readers share their experience and knowledge with free lectures, gallery readings and concerts throughout the day. Spend the day with Great Conjunction and Share in the Energy! Click the postcard to see all the Readers and Vendors you can visit! Vendors and Readers - Apply to be in the Expo!